What should you do on a date & and what shouldn’t you do? Do you know? Are you double faulting on dates? Have you really mastered the art of dating? Do you feel like a dating warrior? Is the entire process overwhelming? Are you prepared internally & externally to date? Enjoy apres ski cocktails with us at Jimmy's, Restaurant Bar at The Landing in Tahoe adjacent to Edgewood in South Lake Tahoe. Meet single men and women. Can sending someone a drink improve your dating success? Indeed. It works even better if you tip the server handsomely in advance! Why? The server can help you. Trust us. Try it! Join PreQM. Last June, I wrote The Best Places to Meet Women? Think Out of the Box... Places where women or men go. If you are RSVPing on line for an event, take a look at the other attendees. You can’t always tell, but sometimes, you can. Going out on a limb that there will be a lot of extremely fit women at this competition. The attendees appear to be the same demographic. Fans. We’ve heard this sport is a blast. We’ve got to try it. Need a date? Come meet single men and women while grooving to the awesome DJ, & maybe you will fill up your dance card! Ladies, Arrive between 8-830 and receive a complementary glass of Cabernet or Chardonnay. How nice! Dress nice. Fabrizzio is quite the fashion plate! Is what you are doing working? If so, keep doing what you are doing. If not, try something new! What have you got to lose? Click here. Enjoy Italian Fashion & Refreshments with interesting men & women at the the Four Seasons before heading up the Hill to Rosewood on Thursday night! Join us at the Los Gatos Roasting Company! Chat & mingle with Wendy and Esmee regarding dating and PreQM. This week, we are enjoying the Pebble Beach Concours d'Elegance. Subscribe to our blog (check out this one), you'd be clued into why this one rocks. Ooh, yeah, baby! The Exotics! It's going to be a zoo, so we may not find each other. But we will be there. I will be with Bentley. Not a car, but my very handsome Coton de Tulear. There's an amazing crowd at The Concourse. My .02: dress European Chic. If you have a cool watch & shoes or boots, this is the place to subtley strut your stuff. Exciting car & people watching. Parking will be a challenge. Please do not be upset if we don't connect at the Exotics. We will be there til 6. Perhaps later. Have a BLAST! We have some very exciting events coming up, so please be sure to sign up for our blog. Going for records. No lie! 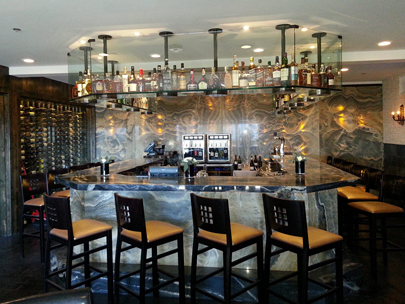 Join us at the luxurious Hotel Nia for Happy Hour sponsored by PreQualified Mates & Diageo. Complementary tastings of Ketel One! Chat with Wendy regarding dating, the Warriors and PreQM. PreQM Event for Single Men and Women at the Madera Lounge at the Rosewood Sand Hill. The Four Seasons has invited our group of single men and women (and some not) to their BBQ series. Its a great social event in the Quattro terrace with a live cooking stations and drinks. Russian Influenced Tapas; Complementary Ketel One Tasting; DJ Music; Very Cool Lighting Setup; Wines & A Promotional Spirit Cocktail. Need a date? Come meet single men and women in Palo Alto while grooving to the awesome DJ, & maybe you will fill up your dance card! TEDxBerkeley is gathering world-leading thinkers, makers, and doers at UC Berkeley to discuss “You are Here.” The audience will be composed of a diverse mix of over 1500 students, professors, and thought leaders from Berkeley and beyond for a stimulating day of presentations, discussions, entertainment & art that will spark new ideas and opportunities for all. Need a date for Valentine's Day? Get on it & meet available single men & women at our Pre-Party at the Four Seasons EPA. Great DJ, amazing cocktails & small bites. Cocktail attire! Come & Enjoy another special evening with us at the Four Seasons at Quattro. Sip on Holiday-Inspired cocktails, while grooving to the awesome DJ. Drop off your card to win a rewrite of your online profile. Can sending someone a drink improve your social life? Indeed! It works even better if you tip the server handsomely in advance! Does "Love Potion #9" really work? Could it be that subliminally, when you send over a Vesper, they associate you with James Bond or perhaps, Daniel Craig? The Sommelier and Mixologists from may suggest the best cocktails to possibly improve your social success. We've been told that our group is higher quality in both appearance and social skills relative to the other online dating site single groups, so don't miss out! Perhaps you need some new game. Are you interested in meeting some interesting singles, not online, but for real, in person? Or are you looking for a unicorn? PreQualified Mates, PreQM, sponsored event in the Quattro Patio at the Four Seasons Palo Alto for eligible single men and women. Cocktails, DJ, dancing. Casually elegant attire. Need another Burning Man fix? Dust off the goggles, ruffle those bustles & shine up the top hats. Celebrate the unique music, art and creativity of the Bay Area while enjoying festive food and delicious drinks with PreQualified Mates, PreQM, along with eligible single men & women. Meet high-quality single men and women at the Four Seasons. Mingle with a BBQ Master, an awesome DJ, & potential celebrity guests. Pre-Party with Cool Singles at the Quattro at the Four Seasons before heading up the Hill on Thursday night! Meet New People! Awesome DJ! Best group of singles near Stanford & Silicon Valley.